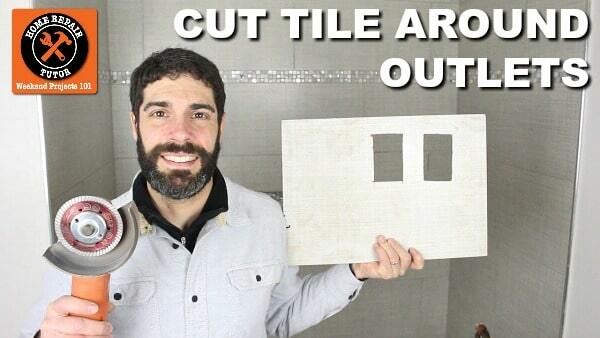 Today’s tutorial shares how to cut tile around outlets. This project can be a challenge without the right tools. 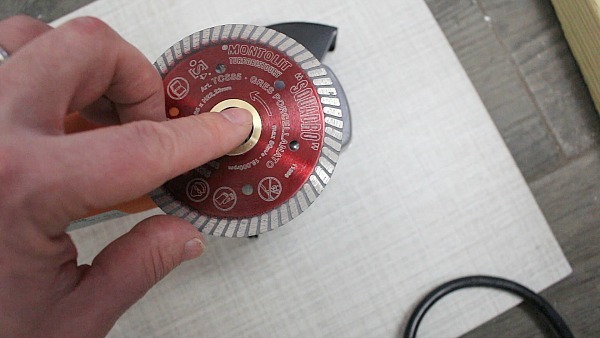 We recently got Montolit’s Squadro angle grinder blade specifically for this video. 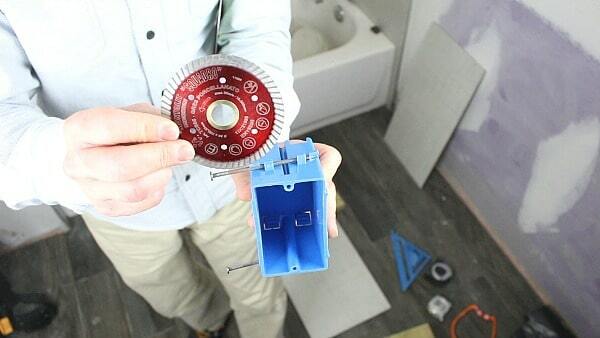 The Squadro’s diameter is 3 3/8″, which makes it perfect for cutting electrical outlets in tile. 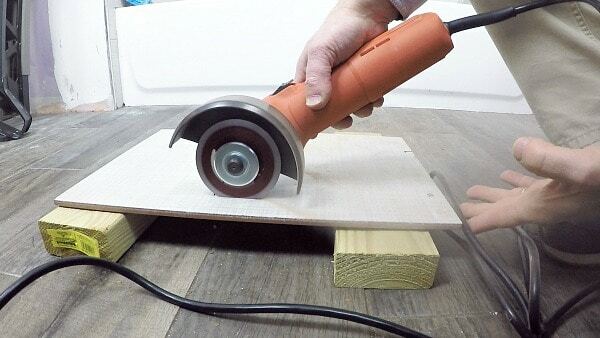 Angle grinders are great tools for cutting ceramic or porcelain tile. And 4.5 inch diamond blades are typically great for long cuts. But the Montolit Squadro has a smaller radius than a 4.5 inch blade. This makes the Squadro an excellent blade for cutting the short side of outlets in tile. Plus, the shorter radius prevents overcuts and a gives more professional finished look. The Squadro can cut ceramic, porcelain, granite, and marble. Safety is imperative when using angle grinders. This is particularly true when using a diamond blade. 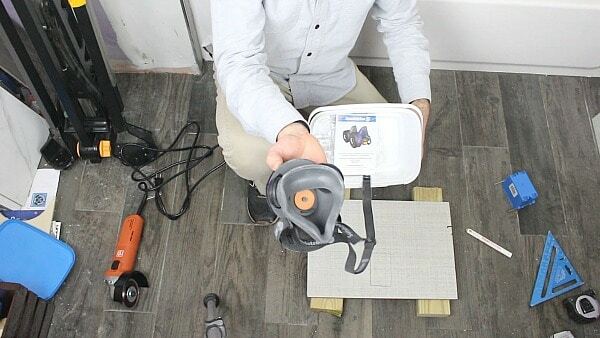 Dust from tile is terrible to inhale, and we highly recommend using the Sundstrom Silica Dust Respirator Kit. It’s well worth the money and will protect your lungs from harmful irritants. Also, good safety glasses and hearing protection are important. Always look at the angle grinder’s maximum RPM and the blade’s maximum RPM. It’s best to make sure the angle grinder blade’s max RPM is more than the angle grinder’s RPM. For example, the Fein WSG7-115 is rated at 12,000 RPM. The Montolit Squadro is rated at 18,000 RPM. So these two tools can be used together. Furthermore, the arrow on the angle grinder should line up with the arrow on the blade. Tighten down the blade on the grinder while it’s unplugged or without the battery. What’s the best way to start cutting an outlet in a tile? Start the cut on the finished side of the tile. And complete the cut on the opposite side of the tile. 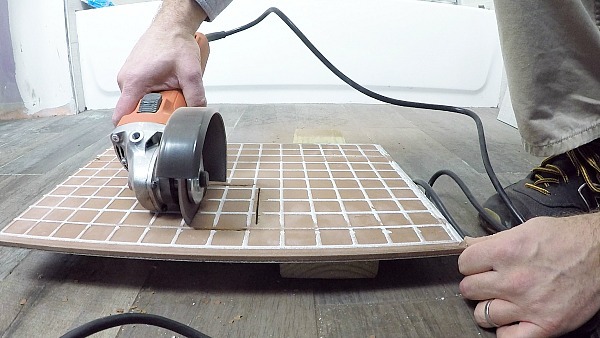 Patience and a keen eye along with the Montolit Squadro will help make perfect cut tile around outlets. Outlets can slow up a tile project in bathrooms or kitchens. 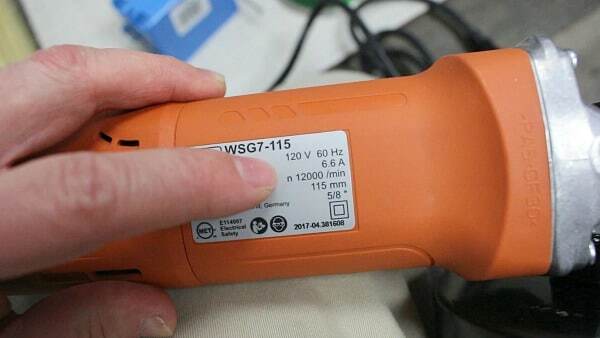 But the Squadro and WSG7-115 can make it easy. Montolit also has great manual tile cutters like the Masterpiuma, which can also cut glass tile. I’m a contractor. I like seeing some of the stuff you guys review. I recently completed a remodel using Wedi Fundo Ligno walk in shower stall. It turned out beautifully. 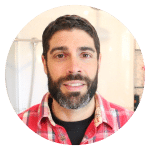 I’ve also been using KBRS shower pans for years and am big fan them also. Thanks again, even as contractor I enjoy seeing things that could improve my projects. Thanks Vic, always great to read a comment like yours. Both KBRS and Wedi have solid shower systems. We’re going to have a video that shows how to install KBRS’s ShowerSlope. We really liked that installation, again, super simple. If you have any suggestions for videos let us know, we’re all in.